President Donald Trump said this month that a U.S. presence was needed to observe Iran, which would overstep the U.S.-led coalition's stated mission in Iraq and Syria of defeating Islamic State. 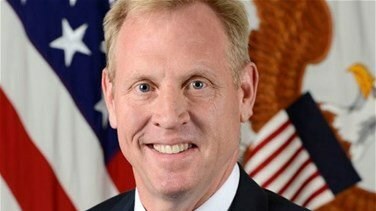 "We are in Iraq at the invitation of the government and our interests are to build Iraqi security capability," Shanahan told reporters traveling with him on his first trip to Iraq. "I want to hear first-hand from them about concerns, the political dynamics that they are facing and then based on that we will obviously factor that into our planning." Trump caused anger in Baghdad this month when he said it was important to keep a U.S. military presence in Iraq so that Washington could keep a close eye on Iran "because Iran is a real problem." Trump's comments prompted almost universal criticism from Iraq's leaders including Abdul Mahdi and raised questions about the long-term presence of some 5,200 U.S. troops in the country 16 years after the U.S.-led invasion that toppled Saddam Hussein. The troops are there as part of an agreement with Baghdad with a specific mission of combating terrorism, and they should stick to that, Iraqi President Barham Salih said after Trump's comments. Iran-aligned politicians in Iraq's parliament used the uproar to reiterate their demand that the U.S. mission in Iraq be restricted and troop numbers reduced. During a trip to Iraq in December, in which he did not meet any Iraqi leaders, Trump said the United States had spent a "fortune" on the Al Asad Air Base in western Iraq and should hold on to it. U.S.-led coalition warplanes hit some of Islamic State's last positions in eastern Syria on Monday as U.S.-backed fighters embarked on pressed an offensive. "The follow on, the support to security, this is where we really look to the coalition partners," he said.